I have one space available in a twin room (two single beds) in the Mercure, Thursday the 1st through Tuesday the 6th. The rate is £85, so the total for five nights is £425, and half of that would be £212.50. About me: Greymuzzle American domestic cat, fursuiter, not a party animal. 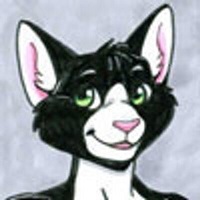 Telegram and Twitter are both @Tuxedokitty.